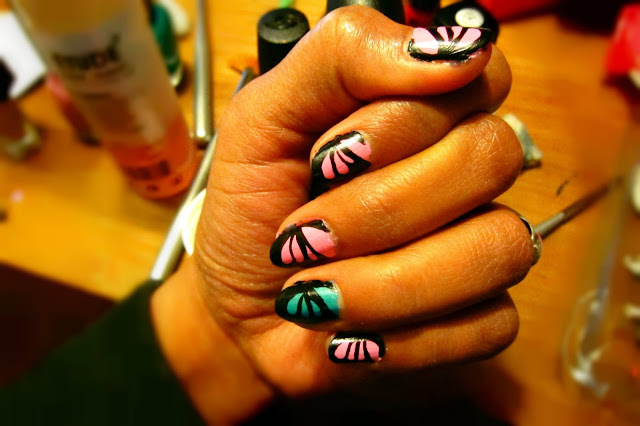 Till now I had painted and created with Nail Paint. So, I tried to move one and give acryl a try. This was my first try yesterday.I hope you like it. What will be the best choice than drawing butterfly as your first try. I use bright colors to make it look bright. It is still not complete though.